According to the survey, conducted by the Pew Research Center – a nonpartisan, non-advocacy think tank based in Washington, the majority of Americans are getting on good terms with online dating websites, and a lot of people succeed in finding a life partner through the Internet network – the first index of coming a truly digital era to our world and the growing role of the Internet in almost all the aspects of our lives. In fact nowadays one third of marriages in the USA appear to start with online dating. So, the Pew Research Center found out that about eleven per cent of the Internet users responded (which makes about nine per cent of all American adults) told that they have personally visited at least one of the free online dating websites. 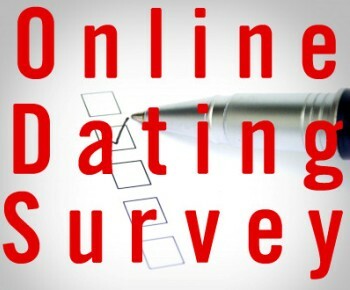 This survey also showed that about sixty-six percent of those people who use to visit online dating sites or applications on regular basis, have had a date with someone they make acquaintance with at one of the online dating services. And, as it was already mentioned above, approximately one third of the people who date online (23%) either have married or started serious relationship with someone they met online via dating website or app. The survey also showed that online daters are going more mobile: seven per cent of smartphone applications users (roughly three per cent of all American adults) said they have tried dating apps on their phone. Moreover, online dating partners are usually considered to be among the friends, colleagues and family members by many people. And about sixty per cent of the responded people agreed that “online dating is a good way to meet new interesting people”. Still, the researchers from the Pew Center also point out that twenty-one per cent of Internet users say that people who use online dating sites are “desperate”, which means for some people the Internet remains the last hope to find someone for dating. Then, about thirty-two per cent of adults think that online dating prevents people from settling down because it provides much more opportunities of meeting new people. Finally, a number of respondents expressed their own negative experiences, connected with online dating, as more than half of the people, who used online dating sites said they have faced at least one fake person or a person, whose online personal data were not consistent with the reality.